Village Grove - Pavilion For Picnics. 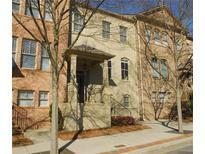 Located In Downtown Suwanee. MLS#6525305. Vistaray Usa, Inc..
River Walk - Blvd & I85. Hurry, This Wont Last Long! MLS#8549061. Keller Williams Rlty Atl. Part. Call Or Come By For Current Incentives! ! MLS#6522785. Re/Max Tru. Shadowbrook - Lifestyle Is Unbeatable. Investors Welcome. Owner/Agent MLS#6522700. 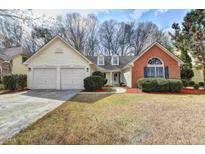 Solid Source Realty Ga, Llc..
Amazing Amenities, Forsyth Taxes, And Fantastic Schools! MLS#8546516. Keller Williams Chattahoochee. Morningview - This Is Like A New Home! 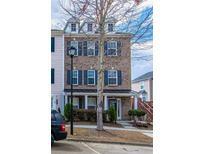 MLS#8545535. Keller Williams Rlty First Atl. 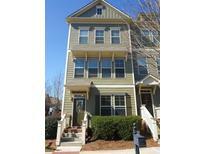 Shadowbrook At Town Center - Hoa Includes Yard And Exterior Building Maint.. N. Gwinnett Hs. Location! Location! Location! MLS#6518759. Keller Williams Realty Atlanta Partners. Riverbrooke - Close To Shopping - This House Has It All. 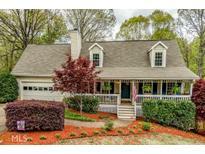 MLS#8543245. Keller Williams Rlty.North Atl. 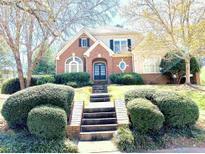 Located Conveniently Near Sought-After North Gwinnett Schools, Shopping And I-85. MLS#6519402. Harry Norman Realtors. Call Or Come By For Current Incentives! ! MLS#6517997. Re/Max Tru. 3rd Bdr, Bath & An Unfinished Storage Room Are Upstairs. MLS#6517819. Engel & Volkers Buckhead Atlanta. The 3rd Floor Features A Flexible Loft, Bedroom, And Full Bath. MLS#6517408. Homeland Realty Group, Llc..
Royal Oaks Estates - The New Deck Is Ideal For Entertaining Or Enjoying Your Large, Fenced In Backyard. Don’T Miss This Home! MLS#8540430. Virtual Properties Realty.Com. Open Floor Plan With Hardwood Floors On Main, Gourmet Kitchen, Granite Counter Tops, Subway Tile Backslash, Stainless Steel Appliances, Crown Molding, Bonus Upstairs With 3 Large Bedrooms, Tile Flooring & Surrounds In All Full Baths. Move In Ready! MLS#6516948. Chapman Hall Realty. 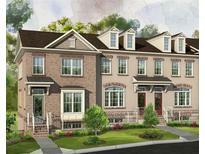 Royal Oaks Estates - Upstairs Finds 3 Very Generous Bedrooms & 1 Large Full Bath. Suwanee! A+ Schools! MLS#8538637. Century 21 Results. Suwanee Station - Amenities: Pool, Club House, Playground, Lighted Tennis & More! MLS#6516183. Maximum One Executive Realtors. Suwanee Station - Hardwood Floor On The Main Level. Kitchen With Granite Countertops. MLS#6514777. First United Realty Of Ga, Inc.. Amenities Include Swimming Pool, Playground, And Exterior Maintenance! Will Not Last Long!! ! MLS#6513535. Sekhars Realty, Llc..
Three Bridges - Come See Why Suwanee Has Been Voted One Of The Top Ten, Best Cities To Raise A Family In. MLS#6511356. Bhgre Metro Brokers. Suwanee Station - Amazing Amenities: Clubhouse W Fitness Center, Pool, 8 Tennis Courts, Pavilion, Walking Trails &More. Walk To Shopping & Dining! MLS#6510744. The Providence Group Realty, Llc..
Suwanee Station - Amazing Amenities: Clubhouse W Fitness Center, Pool, 8 Tennis Courts, Pavilion, Walking Trails &More. Walk To Shopping & Dining! MLS#6510772. The Providence Group Realty, Llc..
Ruby Forest - It'S A Must See Home!!! *** MLS#8532359. Gt Realty Inc..